Rev up your learning with robotics at the Library. 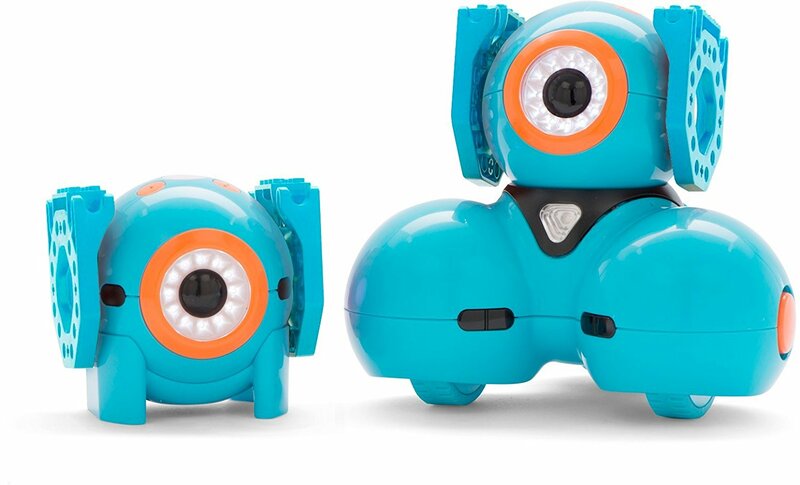 If you’re interested in learning to code using robots, we have some great gadgets for you. Meet the newest members of our Library tech family. Dot & Dash are 2 peas in a pod. If you come across Dash at your local Library, Dot is sure to be close by. This dynamic duo, created by Wonder Workshop, helps children embrace the power of play by teaching coding using robots. Dash is a real robot who can respond to the world. 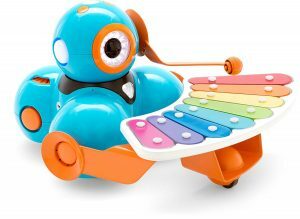 Packed with sensors and capabilities, children can program Dash to drive, dance, interact, light up, and make sounds. Dash also comes with lots of fun accessories to inspire young imaginations. Imagine: using Dash’s launcher to play basketball, creating music with Dash’s xylophone, or programming Dash to race through a maze. The creative possibilities are endless! Even though Dot is Dash’s stationary friend, Dot can still be found cheering on Dash from the stands or reigning as the Robot Hide and Seek Champion of the Library. Halifax Public Libraries is home to a great tech family. Dot & Dash’s big bot brother, LEGO Mindstorms, also pays us special visits to teach children coding. To meet Dot & Dash, you can catch them at events at your local branch. Race on over to our event listings to see what technology events are available at a location near you.